Now our best-selling no-sting adhesive remover formulation with a natural peppermint fragrance is available in single-use wipes. 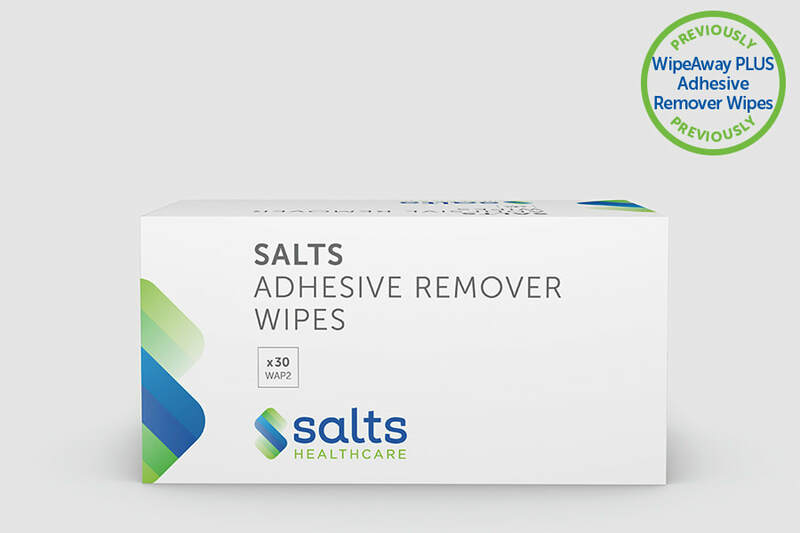 Salts Adhesive Remover Wipes effectively remove residue and refreshes, helping to leave skin clean and adhesive-free. Salts Adhesive Remover Wipes also have a convenient tear notch, making them easier to use.